Not only is the War on Drugs failing to wipe out drugs and ruining millions of lives, it is also wasting vast sums of taxpayers’ money too. Over $100 billion is spent every year enforcing the War on Drugs. It costs more to keep someone in prison that it costs to send them to college, and when they are released over 50% reoffend within a year. 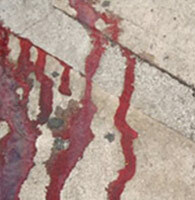 HIV and other blood-borne diseases like Hepatitis spread when drug users share contaminated needles. When drug policy relies upon police enforcement and punishment, many addicts are afraid to seek help and often don’t have access to clean needles. The result is a devastating increase in fatal disease. 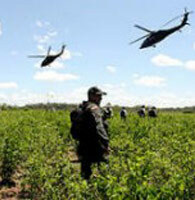 The War on Drugs is one of the main causes of imprisonment around the world. Millions of people are in jail because of non-violent drug law violations and this is at its worst in the US. 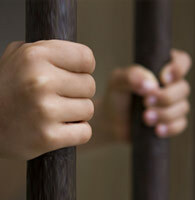 The US has 5% of the world’s population but 25% of the world’s prisoners. And most of these prisoners are poor and/or from ethnic minorities: according to Human Rights Watch, in some US states, black men are up to 57 times more likely to be sent to jail for drugs than white men! 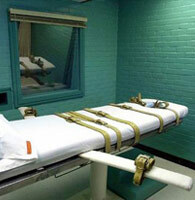 International Human Rights Law states that the death penalty may only be applied to the ‘most serious crimes’. The UN Human Rights Committee have stated that drug offences do not constitute ‘most serious crimes’ and therefore executions for drug crimes are violations of international human rights law. Yet the number of countries enforcing the death penalty for drug related crimes has increased dramatically since The War on Drugs began. 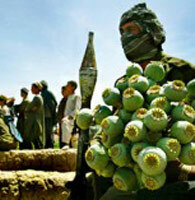 Since the drugs trade is illegal, it operates outside the laws and regulation of governments. Instead criminals use guns and violence to secure their power and profits. The cartels recruit young and poor members of the community to become foot soldiers and low-level drug dealers, so that when governments do try to crack down, they are able to fight back with widespread violence – and invariably it is the small-time drug dealers that get killed or arrested, rather than the real criminals at the top of the food chain. Since drugs are illegal, a huge criminals market has been created to supply the world’s ever increasing demand for these substances. More than 50% of organized crime’s profits now come from the illegal drug trade and this in turn funds corruption and violence all over the world. 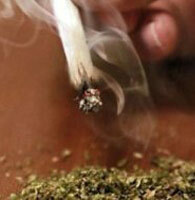 Despite the huge expense and millions of arrests, more people are using illegal drugs today than even before. The problem is that governments’ drug policies are focusing on the supply of drugs rather than concentrating on lowering their demand: for example, in the US almost twice as much is all money is spent on police enforcement than on drug treatment and prevention.